Choosing an AAU team is tough. We know that in the Northwest there are hundreds of options for players. 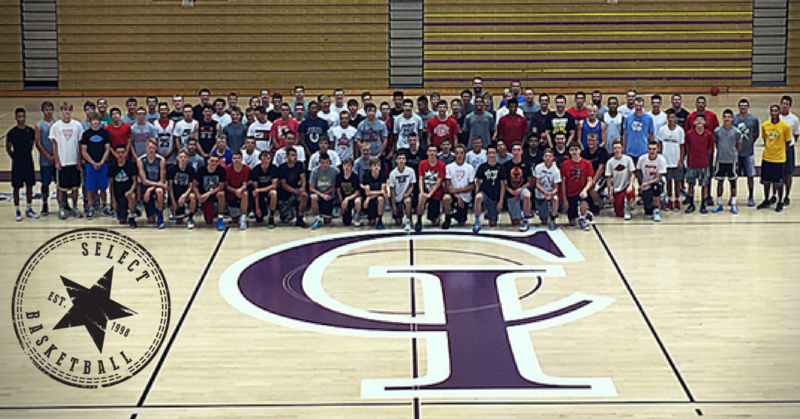 We appreciate this opportunity to show you why Select Basketball is the best option for you. Here are the biggest benefits to you when you compete in the Select Program. Most of our coaches are currently college assistant coaches or successful varsity coaches. They get paid to coach for a living. There is no other AAU team or program in the country that has a coaching staff as talented as ours (click here to see our coaching staff). In fact, many coaches that started with Select have moved on to positions at NCAA Division I and Division II schools. If you’ve ever heard the term “daddy coach” then you know that having professional coaches is a big deal. They run their practices like a college. They coach you like you are a college player. You will not see our coaches running typical “AAU Ball” or “Lazy Zone” stuff. They are putting in their own offensive and defensive systems. They understand how today’s game is played and know how to teach it. Remember, they aspire to be head coaches at the college level some day. This is a great chance for them to work on that role…and you will benefit from it. Not only do they set a high standard, they understand how to get you beyond that standard. Two consistent themes from our coaches are “I care too much to not let you succeed” and “figure it out”. When you are done playing with Select, you will understand that you can achieve a higher level. And you will know how to get there on your own. You will finish your time as a much improved and more complete player. If you take to heart what you’ve been taught, you will return to your school as a better player, teammate and leader. Every year there are over 540,000 boys basketball players competing in the United States (according to the NCAA). There are about 31,000 college roster spots (NCAA, NAIA, NJCAA and other CC leagues). That means that less than 6% of players will get to play in college. It is probably less than that when you consider overseas players competing for college spots. Clearly, having a recruiting advantage is huge! Here’s why Select is an advantage to you. Depending on the time of year, we will get anywhere from 3-15 calls per week from colleges asking about Select players. Tournament directors place our teams in the top divisions because we traditionally can compete with or beat almost any team in the country. In the last few years our top teams have beaten national powers that compete in the Nike EYBL, adidas Gauntlet series and the Under Armour Association. Tournament directors know we will compete and they know that having us in the top divisions will entice college coaches to come watch. As a result, Select currently has more players at the Division I and Division II level than any other club in the northwest. Click here to see some of our alumni. College coaches attend every one of our top team’s games. And they are constantly paying attention to what all of our 17U and 16U teams are doing. Additionally, if you have shown that you are a college level player we will reach out to college coaches on your behalf. The biggest difference between the Select program and other programs is that college coaches always take our call. We’ve built a reputation of trust over the last 20 years. If we tell a coach a player can play, they trust us. To coaches, this means they can develop their team faster and get more wins. Playing for a travel team or AAU team requires an investment of time and money. Our job is to make sure we give every player the best chance to get the most out of their experience. Playing for Select is not just about developing as a player and getting recruited. You will also get to hang out with other elite players and travel to some really fun places. It is common for Select players to stay in contact after the season is over. And don’t be surprised to see pictures of our players with NBA players, at MLB games, checking out the surf and other incredible opportunities. Select is more than just hooping on the court. We use our power of numbers to get the best rates on hotel rooms, rental cars and travel expenses. These savings get passed along to our families. With 20 teams operating each year, we are able to leverage our position to get bigger discounts than most programs. Players benefit because our program costs are low. We don’t waste your time with meaningless tournaments. Every tournament we go to has a specific purpose. If we are attending it, the tournament has proven to be a winner. If we aren’t attending, there is a good reason. When you are a part of the Select Family, you have access to our resources. For example, you don’t need to hire a recruiting service. We help prepare you for the college game, help get your name out there and can advise you on how to market yourself. Unlike most services, we have the trust of college coaches. If we tell them about a player, they listen. When there is a void in an area that our players need, we find a way to fill it. A great example of this is the Northwest Premier Invitaitonal, created in 2010 because there was a major need for a regional highly recruited tournament for northwest players. And we are not afraid to use our resources to get players special perks when appropriate. An example of this is how we are able to practice at various universities and top high schools when we are on the road. Our coaches know coaches and we all help each other out. Those are the three biggest reasons why Select Basketball would be an excellent choice for you. These are the same reasons why over 1,300 players have gone through our program over the last 20 years. We’ve been successful since 1998, growing every year and expanding our footprint to cover nine states. If you are interested in playing for Select in the spring or summer, be sure to attend a tryout and show us what you’ve got. You can learn more about our spring and summer programs by visiting those pages. Click here for spring. Click here for summer. Want to learn more about the recruiting process? Check out this free recruiting guide.